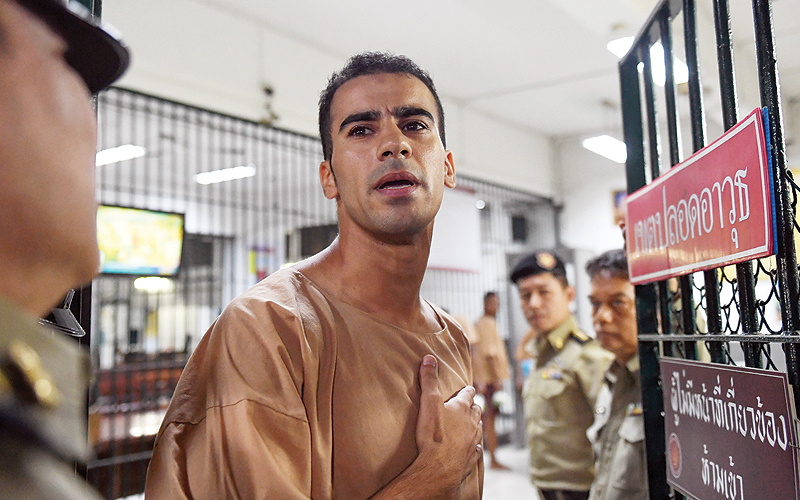 BANGKOK: A refugee footballer fighting an extradition request appealed for his freedom yesterday, pleading “please don’t send me to Bahrain” as he arrived in shackles at a Bangkok court, which extended his detention by another two months. Hakeem al-Araibi, a Bahraini refugee and Australian resident, fears torture and even death if he is returned to his homeland. 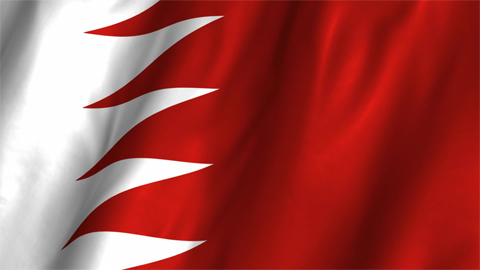 Araibi was convicted in absentia on charges of vandalising a police station in Bahrain, but says he was out of the country playing in a match at the time of the alleged offence. The player has said he believes he is being targeted over his criticism of Asian Football Confederation (AFC) president Sheikh Salman bin Ebrahim Al Khalifa, a member of Bahrain’s ruling family. Araibi was stopped at Bahrain’s request at a Bangkok airport in November when he arrived in Thailand for his honeymoon. He has been held in detention since then as Thai courts decide whether to send him back to the Gulf state. “Please don’t send me to Bahrain,” he pleaded as he arrived at the court where former Australian football captain Craig Foster and other campaigners were on hand to lend support to the embattled player. “Your wife sends her love! Hakeem, Australia is with you, mate,” Foster shouted. The court said Araibi would be given 60 days to object to the extradition request and would need to present his case in April when the judges reconvene. Outside the court, Foster, who has been leading a protest in the football community for Araibi’s freedom, said the case was politically motivated and represented “retribution from Bahrain to Hakeem”. “We continue to call on the Thai prime minister to show some mercy…. Don’t be pushed around by Bahrain and just let him go home,” Foster said. Australian premier Scott Morrison has previously called on his Thai counterpart to release the 25-year-old, saying that returning him to Bahrain would infringe on his rights under international law. “We are asking the Prime Minister to allow Hakeem al-Araibi to return to Australia,” Australian ambassador-designate Allan McKinnon reiterated yesterday outside the court, adding that representatives of 15 other countries were present to observe the proceedings. Araibi had played for Bahrain’s national youth team before he fled his homeland and was granted asylum in Australia, where he plays for the semi-professional club Pascoe Vale FC. “We believe if Hakeem is not released there have to be some sanctions levied on Bahrain and Thailand,” international players’ union FIFPro’s vice president Francis Awaritefe, a former Australian football player, told reporters outside the court. Both countries “should at least be excluded from being able to host” international matches, he added. FIFA’s head of sustainability and diversity, Federico Addiechi-who was present for the hearing-told reporters FIFA has had numerous exchanges at a “formal and informal level” with Bahrain, Thailand, Australia and the AFC. “We want to show our support to him… to ensure the right thing happens and (Hakeem) goes back to Australia as soon as possible,” Addiechi said. The detention of a recognised refugee such as Hakeem sends the message to the world that Thailand is “not safe for refugees,” said Human Rights Watch’s Phil Robertson.